On February 8th, good news came from the coordination committee, EfD´s decision-making body, that three new centers have been accepted to join the network. 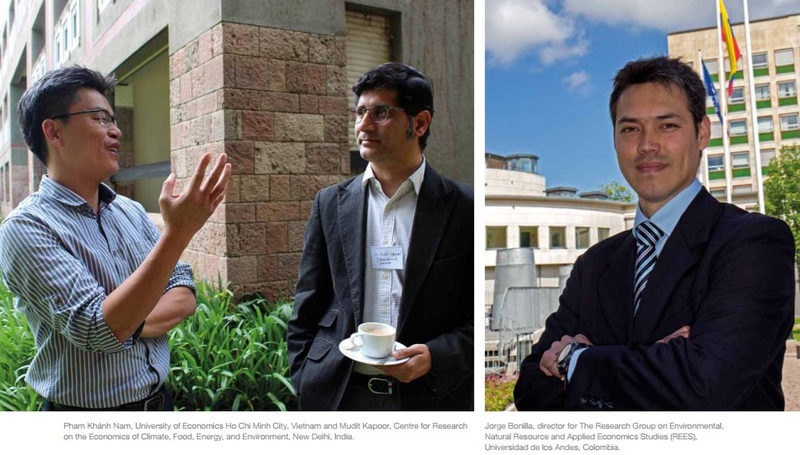 The three newcomers to the EfD network are: University of Economics Ho Chi Minh City, Vietnam; Centre for Research on the Economics of Climate, Food, Energy, and Environment, (CECFEE), at Indian Statistical Institute,New Delhi, India and The Research Group on Environmental, Natural Resource and Applied Economics Studies (REES-CEDE), Universidad de los Andes, Colombia. “This is excellent, we look forward to great collaborations with all of the EfD centers”, says Mudit Kapoor, director of CECFEE in India and E. Somanathan, also at CECFEE, when receiving the news. “Looking forward to seeing all new EfD centers coming into operation”, says Pham Khanh Nam, director of the Vietnamese center as a response. “This is great. Being part of the EfD network has been the wish of all of us”, is Jorge Bonilla’s reaction. Jorge is the Director of the Colombian EfD center REES-CEDE. The EfD network is expanding, which will allow more countries to take advantage of EfD’s collective experience and knowledge sharing. New centers will also increase the knowledge pool of EfD and thereby strengthen and improve the quality of research in all EfD countries and regions. EfD’s expansion to an increasingly global network is part of the long-term strategy. “ There is a lot of work ahead of us, but first- this calls for a celebration”, concludes Gunnar Köhlin, Director of EfD.